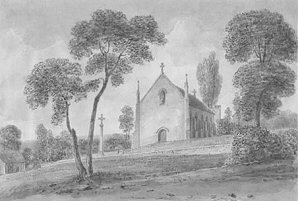 In 1791 it became legal for Catholics to own places of worship and so a small church was built next to the priest’s house at Cresswell. In 1816 Fr. Baddeley set about building the present church, a much larger building. Lady Mary Stourton, a member of the family who owned the Draycott estate, provided him with funds; there is a tradition that Fr. 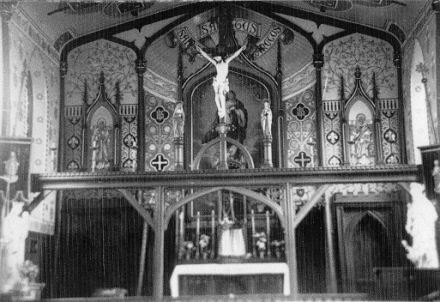 Baddeley built the church with his own hands. 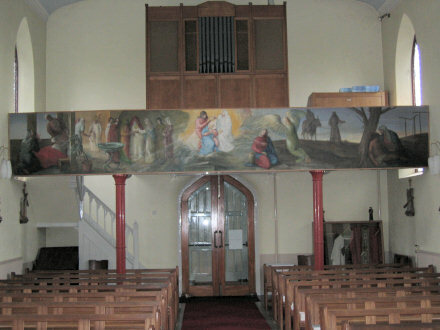 According to the Directory for 1851 the chapel was built for a cost of £800, a considerable sum in 1816. 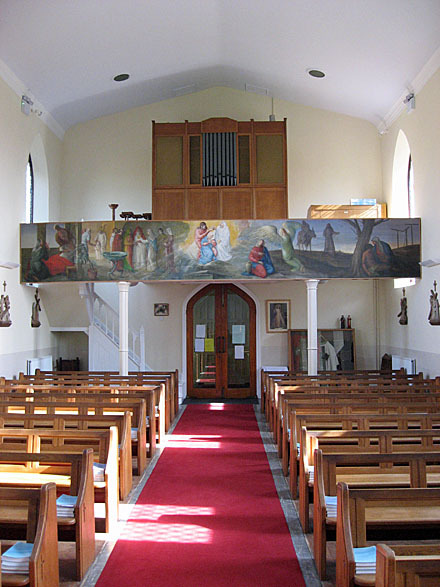 Thomas Baddeley also began a small college at the presbytery to prepare young men for the priesthood (many of the English seminaries abroad had been disorganised and dispersed by the French Revolution). 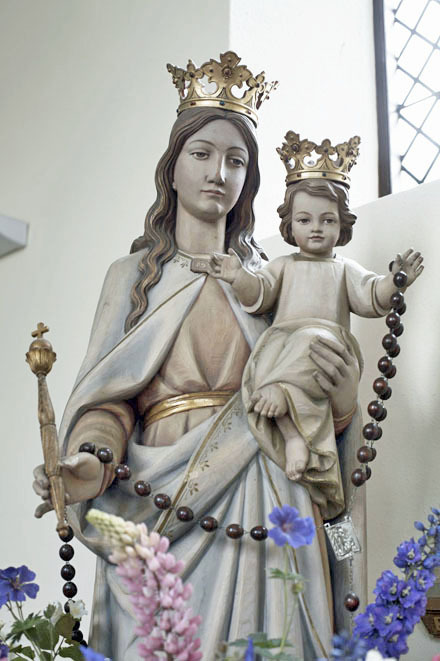 Throughout the 19th century the Catholic church in England as a whole continued to flourish, but the great increase in population was in the new manufacturing towns where great numbers of Irish immigrants came to settle. 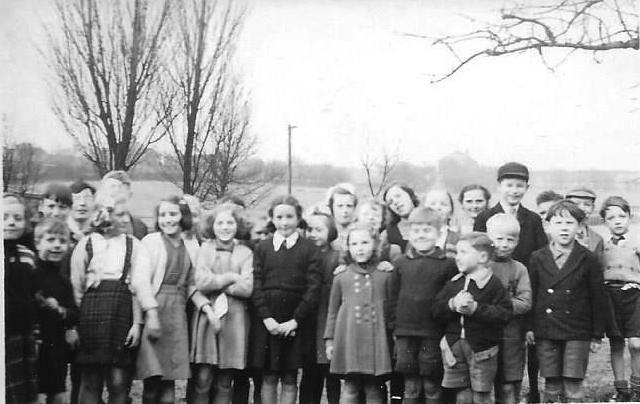 At the beginning of the 19th century Cresswell and Cobridge were the only Catholic centres in North Staffordshire; at the end of the century there were Catholic congregations, churches and schools all over the Potteries and North Staffordshire. 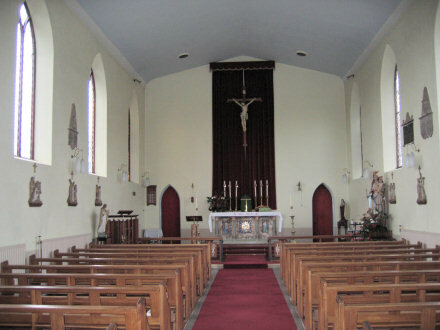 Until the mid 1930s, when St Thomas’s church was built at Upper Tean (a couple of miles to the south), St Mary’s remained the centre of the Catholic faith within the area. 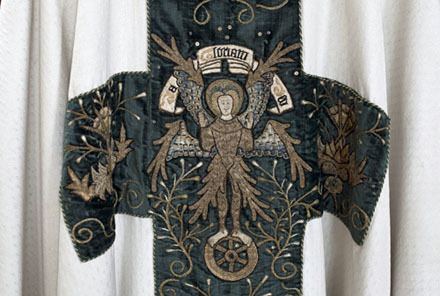 However, from that time onwards, St Mary’s and St Thomas’s combined under the ministry of one priest. 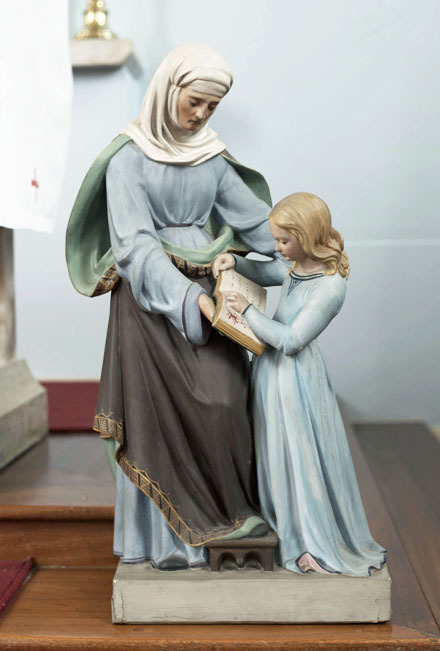 This continued until 2001, when the care of St Mary’s was transferred to the priest responsible for St Augustine’s. 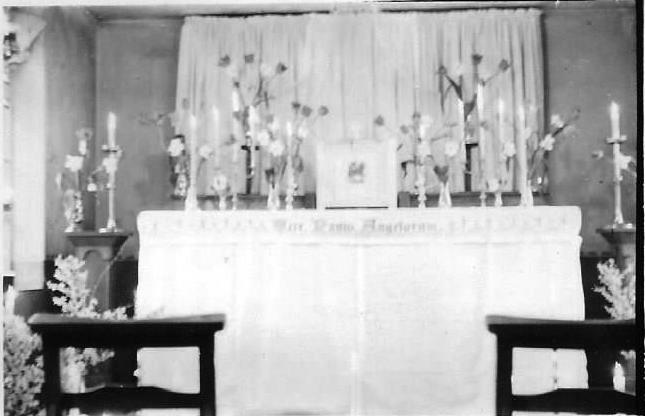 Some wonderful old photographs from the early 1950s have been found in the in the loft of the Presbytery. 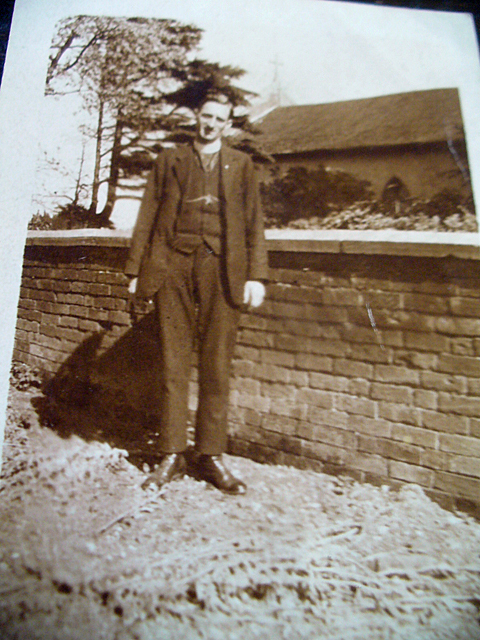 It would be wonderful if website readers could help with identifying the subject of the photographs. If you can help with this, please email the Webmaster from here. 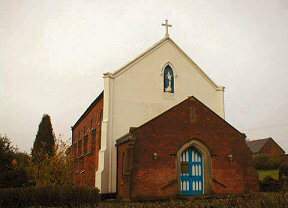 St Mary’s is a Grade II listed building. We have taken into account all the representations made, and completed our assessment of the building. 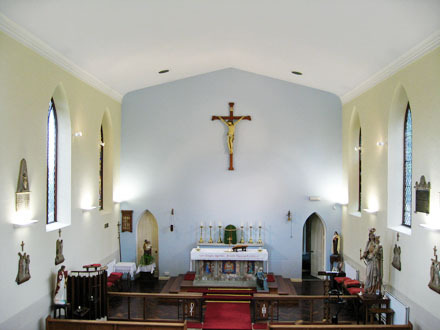 I am pleased to inform you that having considered our recommendation, the Secretary of State for Culture, Media and Sport has decided to add Roman Catholic Church of St Mary to the List of Buildings of Special Architectural or Historic Interest. The building is now listed at Grade II. Listing helps us to mark a building’s significance and celebrate its special architectural and historic interest. It brings specific protection so that its special interest can be properly considered in managing its future. 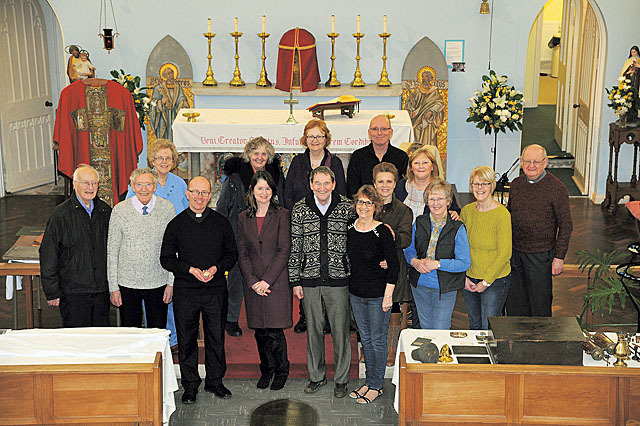 200 years of history; and now the church is a listed building. 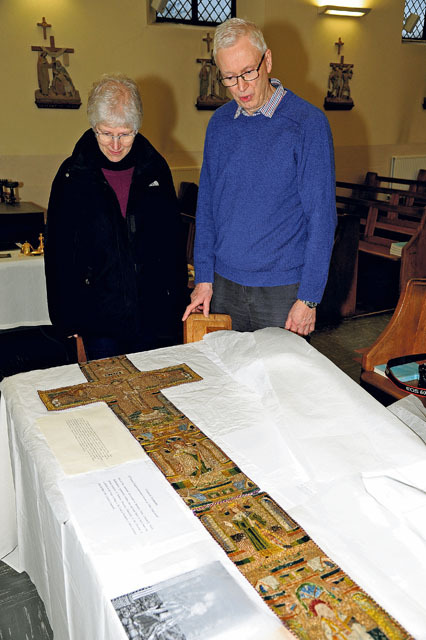 The listing also includes the Pugin cemetery cross. 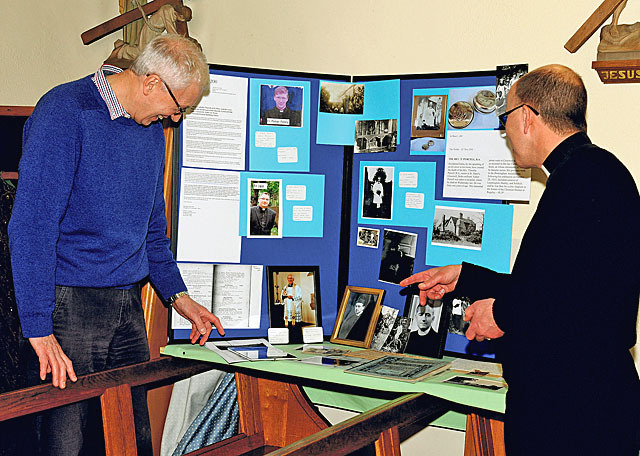 A History Weekend was held on 6th and 7th February when the church was opened to visitors who wished to look at a display of interesting exhibits which pictured the life of the church over the last 200 years. 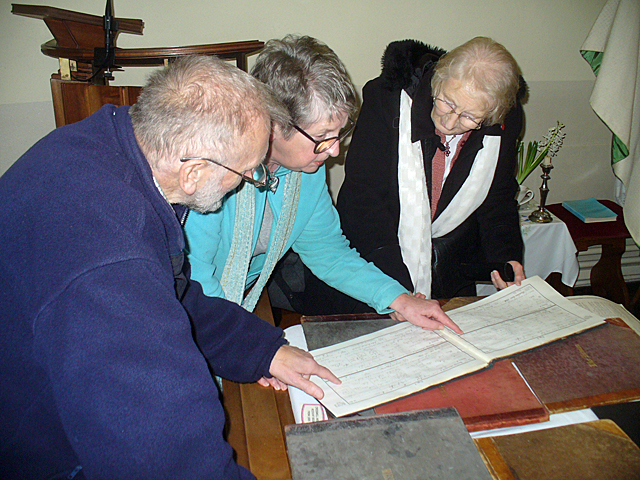 Another History Weekend is to be held in July. 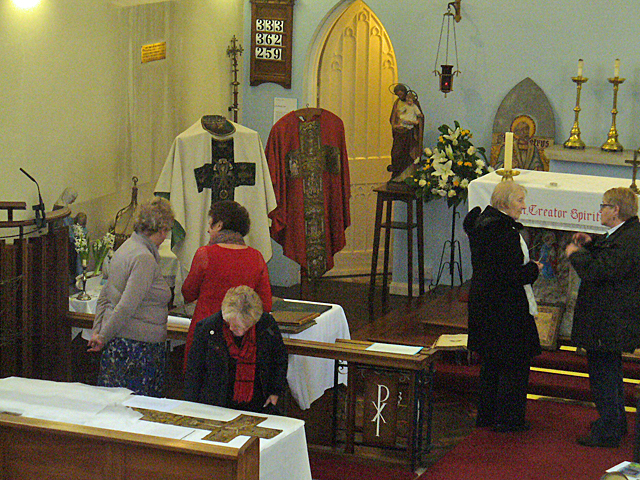 Below are some pictures taken at the History Weekend. 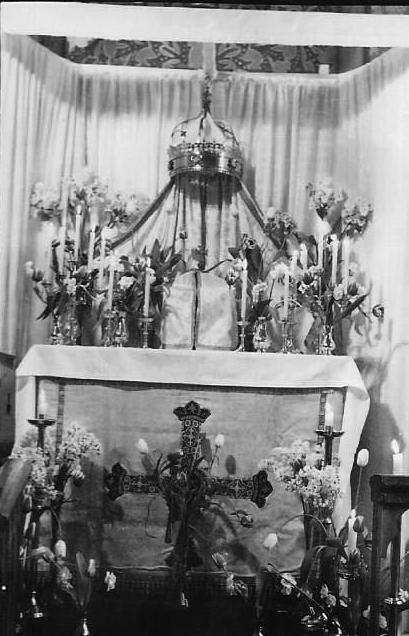 Father Purcell’s pyx. 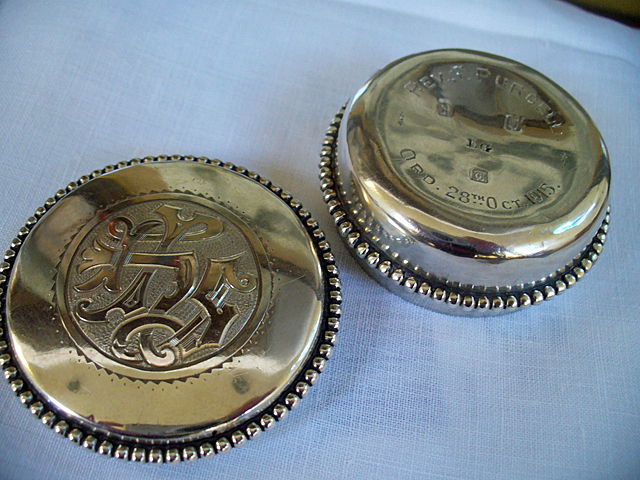 We bought this silver pyx on eBay. The story behind this is that a gentleman in Galway noticed it for sale and did some research about who Father Purcell was. 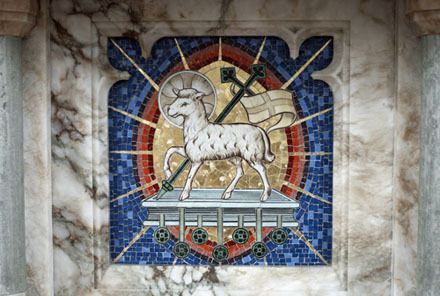 He found this parish website and contacted us as he thought we would be interested. We managed to successfully bid for it! Miss K Horobin with Father Purcell’s pyx. 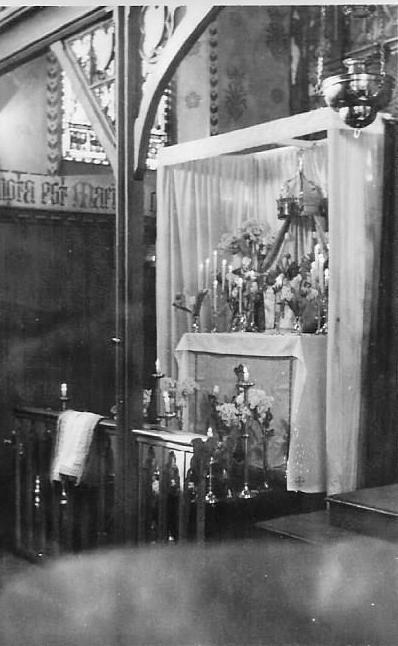 Father Purcell’s phonograph – still working! 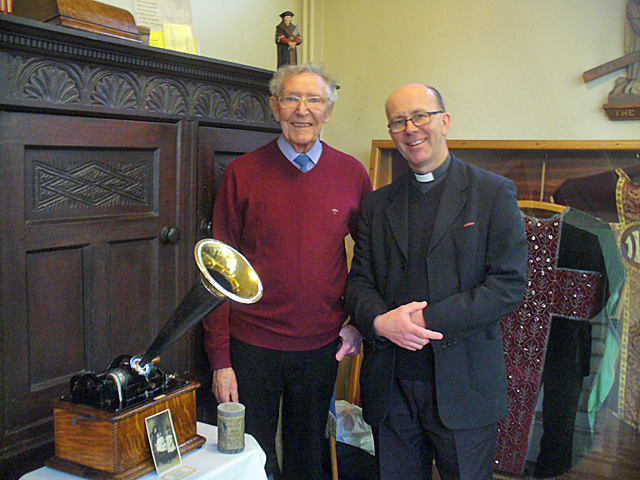 Pictured with the historic machine are its present owner, Harry Ridge, and Fr Hartley. 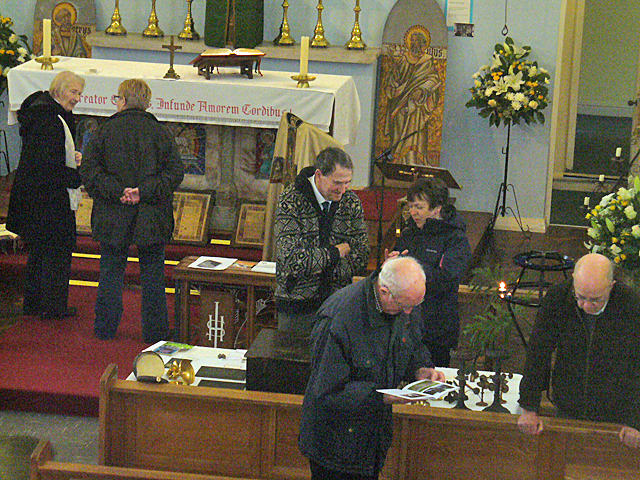 Visitors to the History Weekend were able to hear exactly what Fr Purcell would have been listening to. 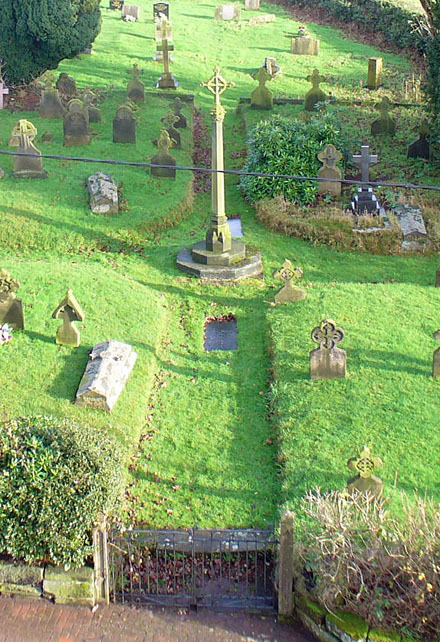 You are welcome to enquire about the burial place of your relations in St Mary’s churchyard. Our plans mean that we can usually help you. 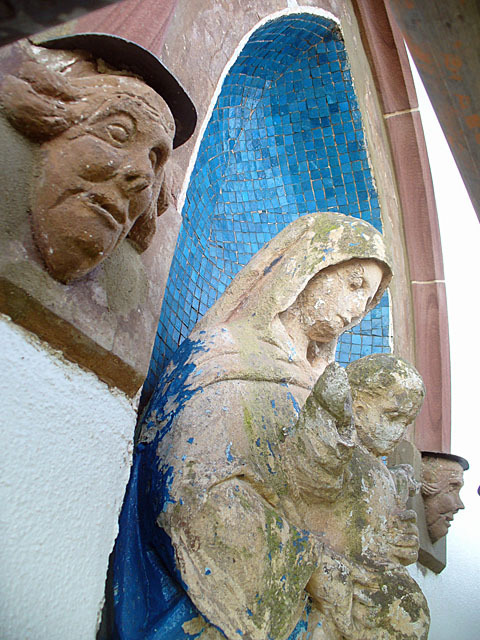 At the beginning of 2016, restoration work was completed on the arch and ‘faces’ next to the statue of Our Lady above the front entrance to the church. 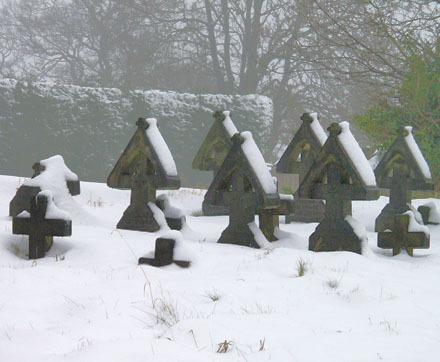 In February 2016, the church was listed as a Grade 2 listed building, as was the Pugin cross in the cemetery.